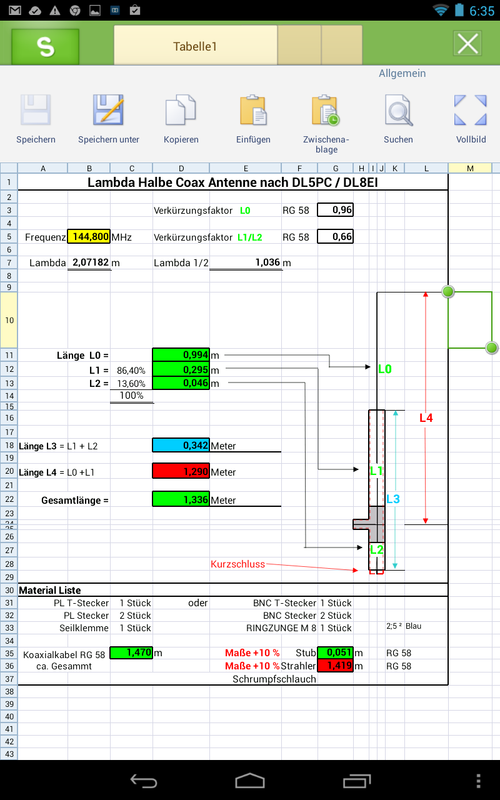 In CQDL 2014/06 was an article by Hans, DJ8EI/PA8EI and Helmut, DL5PC about building a L/2-Coaxialcable antenna. 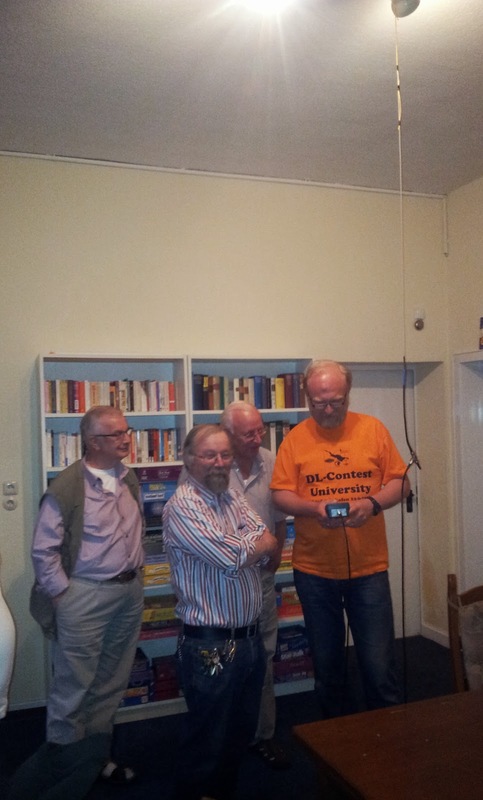 Since the construction is easy to do i decided to use our last (tech)talk meeting at our local RadioClub M21 to build a version for 2m. 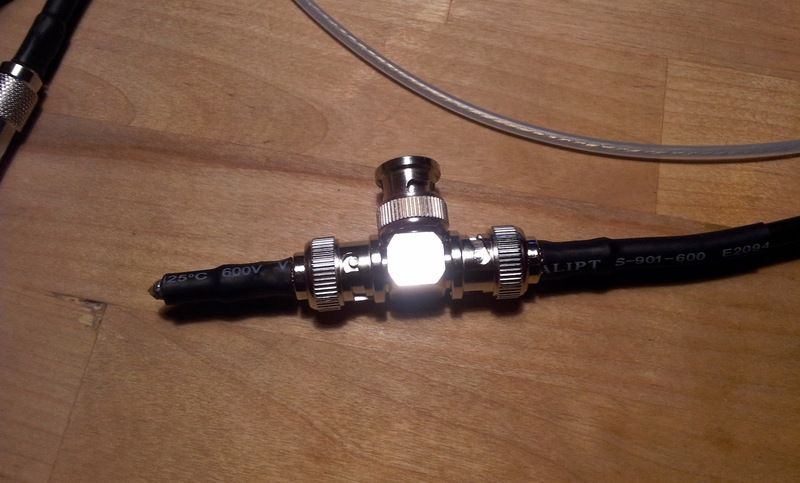 The design is a J-Antenna build completely with coax-cable. 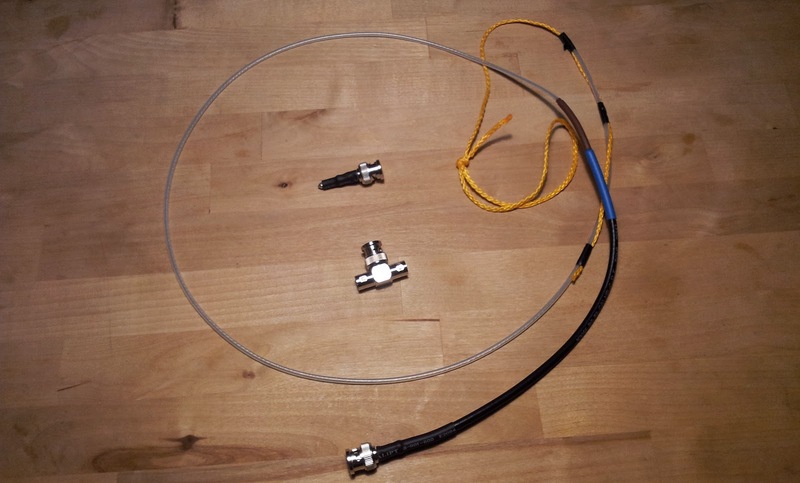 So i brought 7m RG58CU, BNC crimp-connectors and one BNC T-connector in. 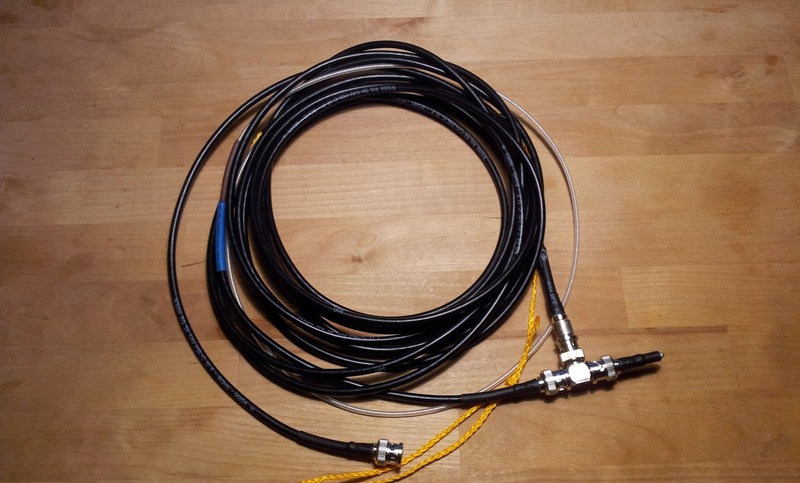 Target was to get the antenna resonant at 144.800MHz since main usage is for APRS. 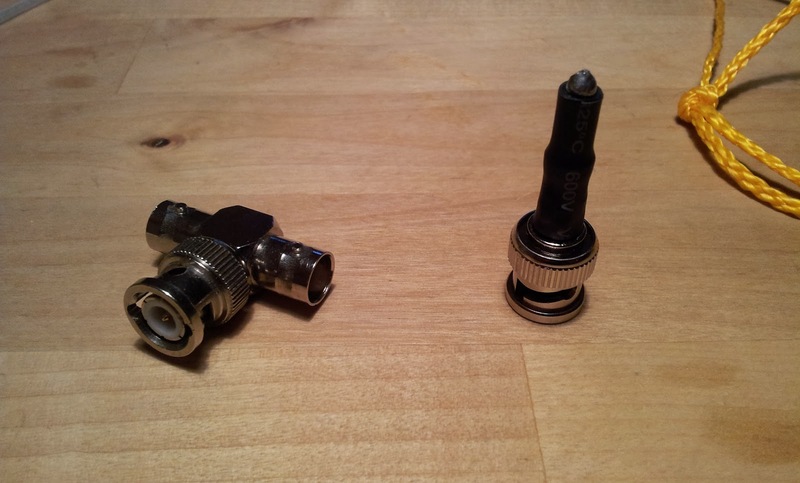 Since there is an calculator for the dimensions vailable i cutted the cable into pieces according the instruction and crimped the BNC connectors on. The radiator i kept a bit longer to be on the save side. Finally a small rope was attached to the end of the radiator to be able to put the antenna on the ceiling for adjustment. 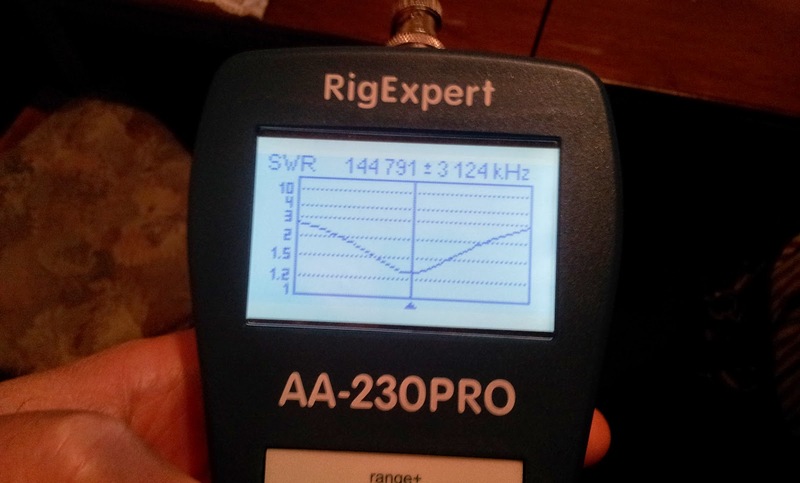 First measurement with our RigExpert Antenna analyzer showed a resonance at 143.900MHz. After cutting some small pieces off the radiator we reached nearly 144.800MHz. 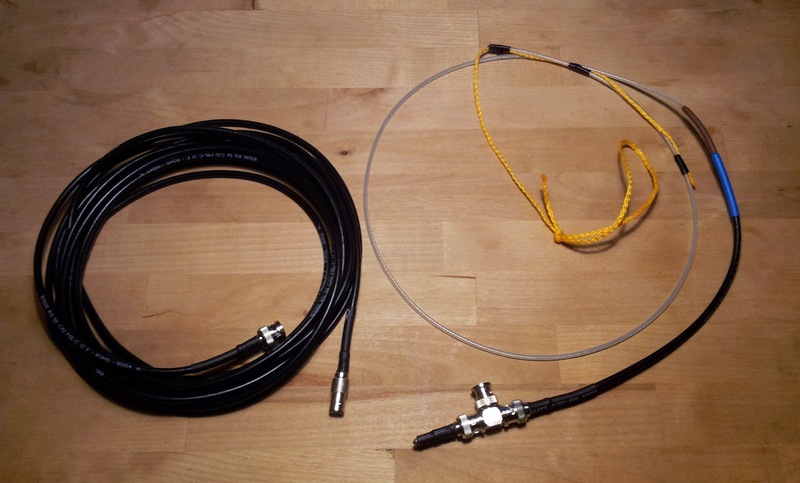 The Antenna is easy to build with minimum of costs and easy to adjust. Building up and adjustment took ~30min overall.